Here is dreams come true! 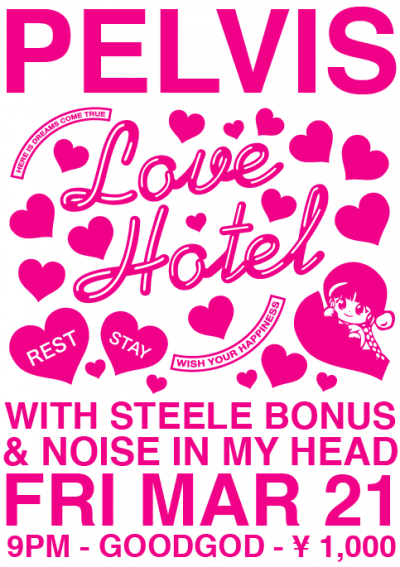 Rest or stay at Pelvis’ Love Hotel, New Open at Goodgod Danceteria on Friday March 21st. Bring your partner, make love into smiles Thank you for come in early, doors open from 9PM with Steele Bonus And NOISE IN MY HEAD Wish your happiness!